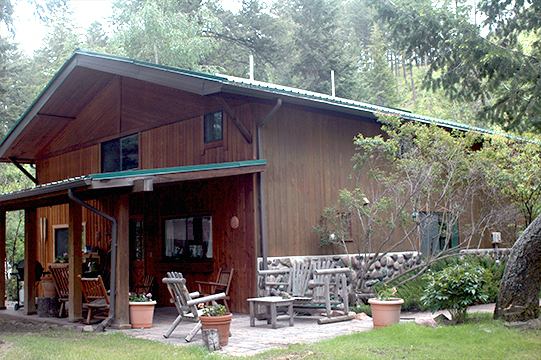 With the babbling brook on-site and surrounding forrest you would never guess that our lodge sits just a few miles outside of Missoula.  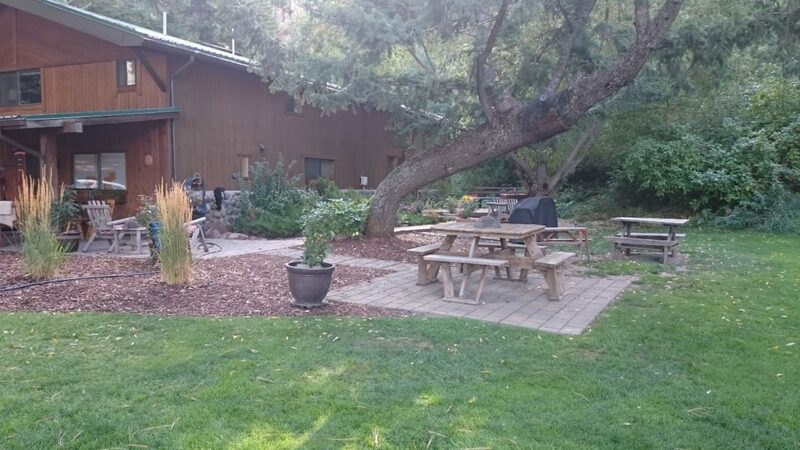 You can relax outside and enjoy the stars from our beautiful patio, or dip your feet into the frigid brook on a hot summer day. 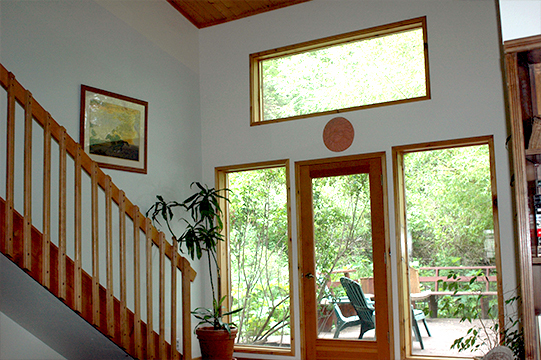 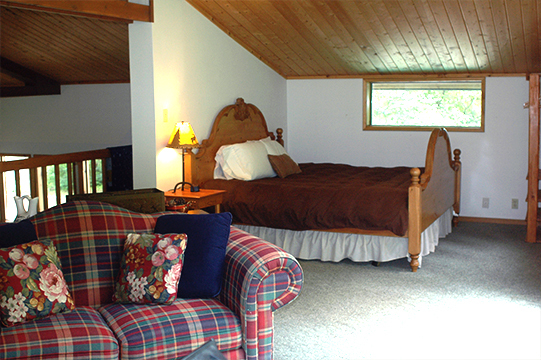 The lodge has a welcoming country feel, with a huge living room, TV, piano, and full kitchen. 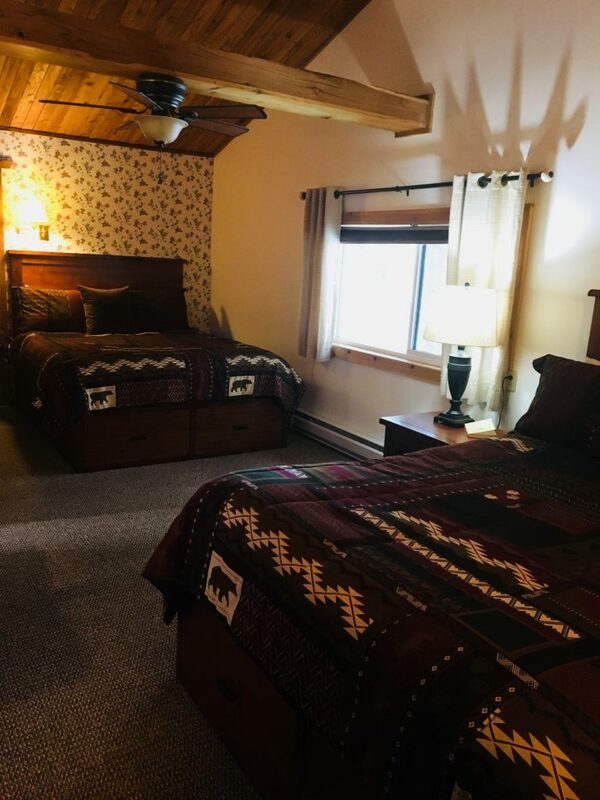 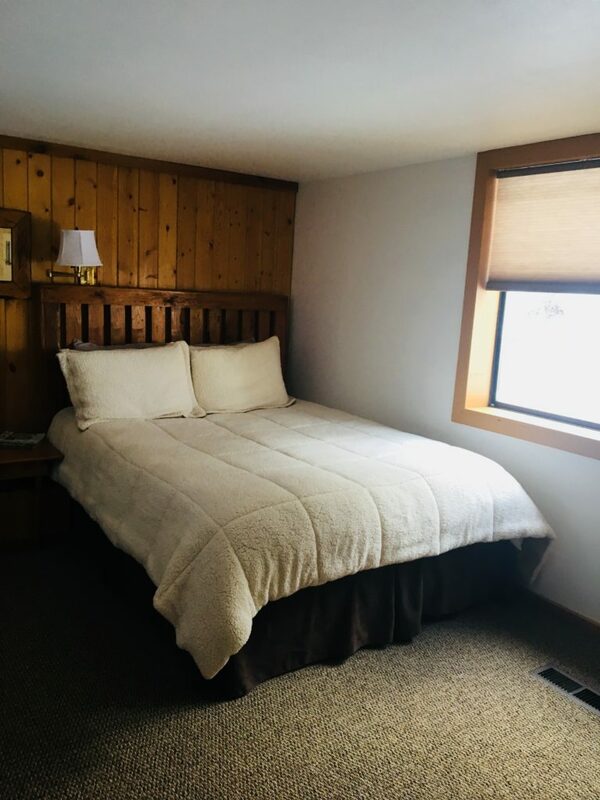 You may choose from four private bedrooms and one private loft within the lodge. 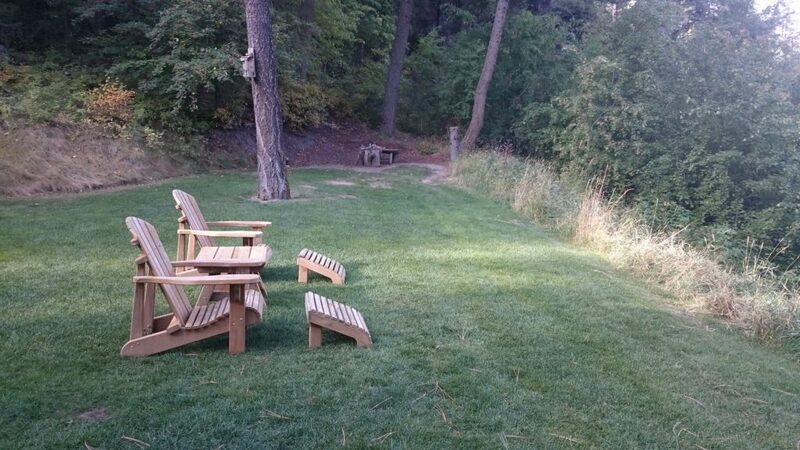 We also have access to an additional two private rooms in a separate unit across the lawn. 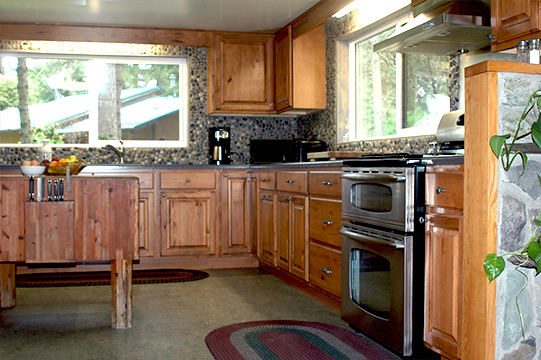 The separate unit includes a bathroom. 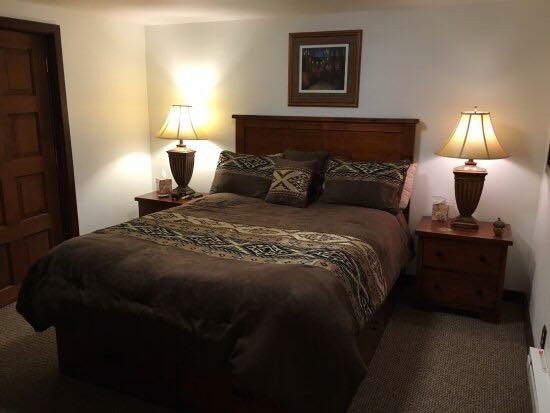 Rooms may be reserved for Single Occupancy. 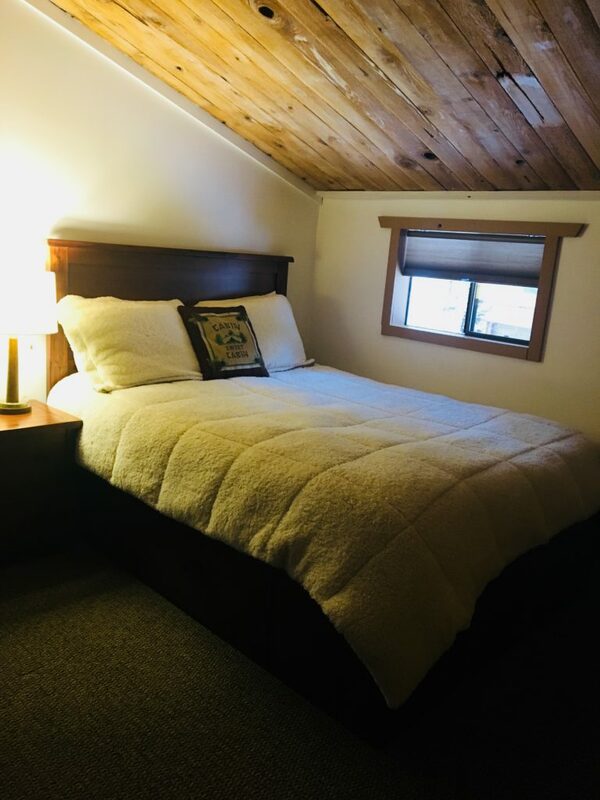 You can hear the sounds of the brook as you relax in bed. 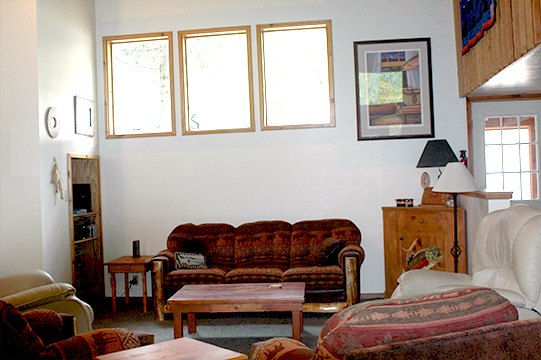 The lodge includes a large living room area with complimentary cable and high speed WiFi internet. 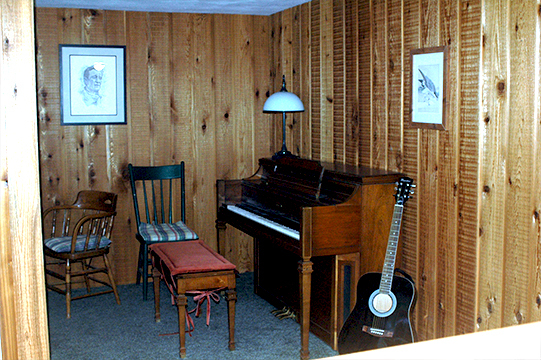 There is also a music-room nook with a house piano and guitar. 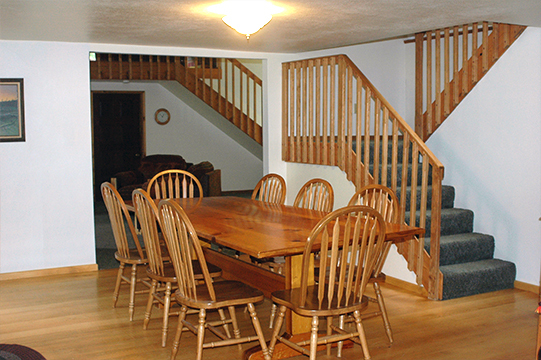 Meals may be served indoors or outdoors, depending on conditions and requests.